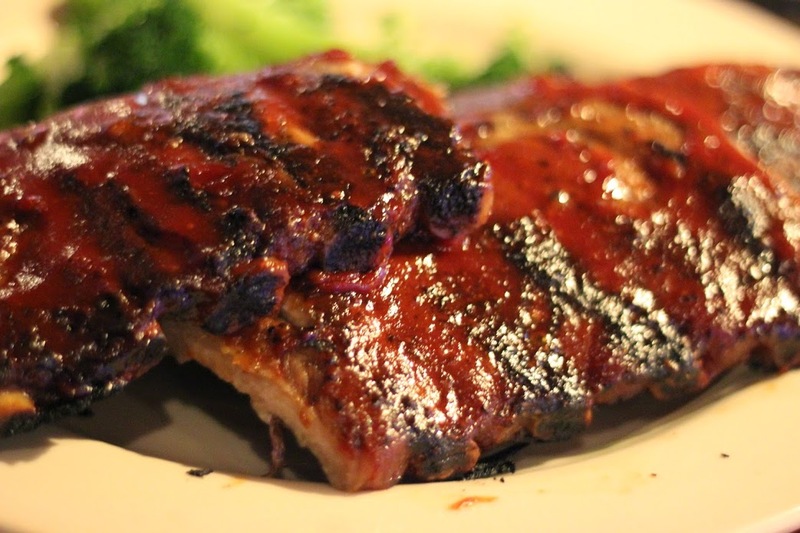 If you pay any attention to Texas craft beer then you may have seen that Chilis restaurants across the nation are now offering their ribs with a barbecue sauce with beer brewed by Rahr & Son’s Brewing Co. in Fort Worth Texas. The specific beer in the sauce is none other Rahr’s Summertime Wheat, and when I sat down at the Chilis in Annapolis last week I couldn’t help but feel a little proud of all the people that worked so hard to get that Rahr logo on the Chilis menu. 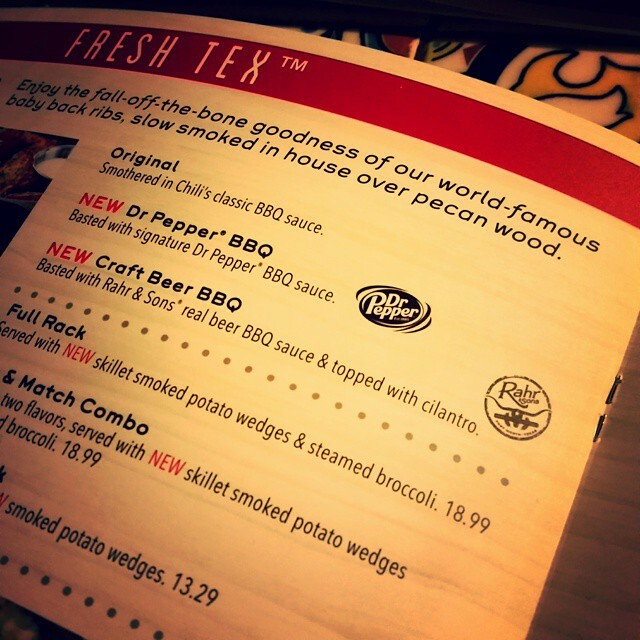 Of course this whole sauce thing is part of Dallas based Chilis attempt to market their menu as getting back to its Texas roots; the other new sauce is made with Dr. Pepper, another original product of The Lone Star State. It’s also a great marketing move for Rahr as their logo is now all across the nation, even though their beer isn’t even available outside of Texas. It’s an even bigger deal for Rahr because there was a time that the brewery almost disappeared. Fort Worth, home to one of Miller Brewing Co.’s breweries, just wasn’t ready for its own craft brewery. It was so hard to sell local craft beer back in 2006 that I gave away kegs of Summertime Wheat just to get Rahr on tap in Fort Worth. People weren’t just skeptical of craft beer, they were skeptical of the brewery itself. When I met with the owners of a popular Texas steakhouse the owner’s wife told me they wouldn’t carry our beer because they were “trying to maintain a family friendly atmosphere.” However, that didn’t stop them from selling pitcher after pitcher of Bud and Miller, along with plenty of liquor from their bar. I can only assume they viewed craft beer itself as unwholesome. Something seriously changed between then and now though, because today Rahr & Sons is the exclusive Texas craft beer at their Dallas-Fort Worth locations. But not everyone was skeptical of Rahr early on. Some Fort Worth institutions did embrace the brewery. One of my greatest memories of selling Summertime Wheat comes from sitting in Riscky’s BBQ in downtown Fort Worth. Riscky’s was one of the first restaurants to really support Rahr, and I stopped in to grab lunch on the second day that they had Summertime Wheat and Ugly Pug on tap. While I was there two Germans sat down at the bar and ordered a Summertime Wheat after being told it was a German style Hefewizen brewed just a few miles away. After the first sip of Summertime Wheat one of these German gentlemen turned to the other with a look of pleasant surprise on his face and said, “genau so wie in Deutschland,” or “exactly as in Germany!” To me it was a sign that the brewery was doing things right, and the rest of Fort Worth just needed to know about it. Today Rahr’s is over ten years old and going strong. I’m happy I could be a part of it, but I was by no means the only person that helped get Rahr to where it is today. An entire army of volunteers have helped with everything from bottling to serving in the tap rooms over the years, and several employees have handled everything from brewing to packaging. But as I sat down at the Chilis here in Annapolis, I couldn’t help but be proud of my hometown’s flagship brewery, and how far it has come. The ribs were pretty good too.